For this season Weekday wanted to add a heavy-duty canvas boot to their collection and therefore teamed up with original canvas boot maker Palladium. Palladium was founded in 1920 to make tires for the aviation industry. After the second world war the French company started producing footwear that was as hard wearing as their tires. In 1947 the legendary Pampa boot was born and the functionality, comfort and durability were so outstanding that the French Foreign Legion adopted it for their use. 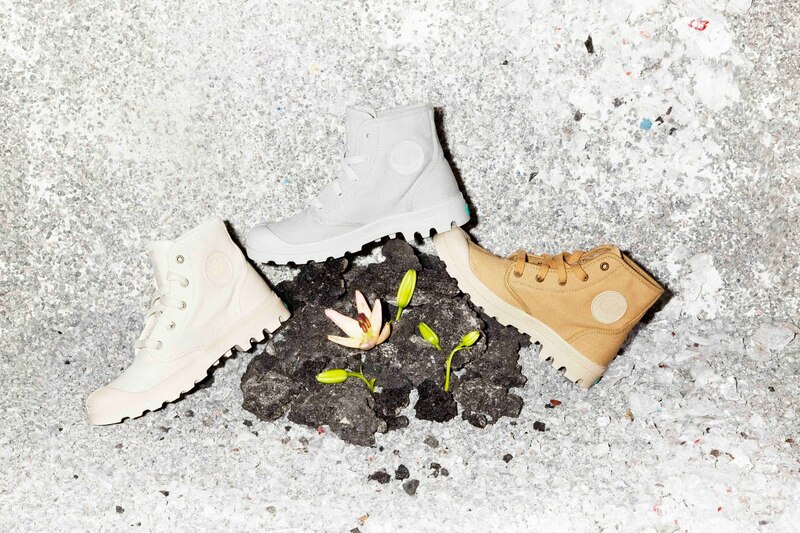 The result of Weekday's collaboration with Palladium is a collection of sturdy boots with the classic tractor sole. There's one style for men in three different colours, beige, black and blue and two different styles for women, one of them will be available in black, beige, light grey and cream white while the other is a model with a higher shaft and buckles that will be produced in black. Furthermore for spring 2011 Weekday's in-house brand MTWTFSS introduces their underwear collection for both men and women. The collection is best described as clean and functional with sporty details such as wide elastics on briefs and tops and a discrete logo on the waistbands. The design reminisce the 90's but is updated with a new kind of minimalism that feels contemporary. The 90's have also been inspiration for MTWTFSS's new denim collection with stone washed blue denim in several hues as well as jeans in washed out black and grey. For women they've also added dusty pink and natural off-white. The collection is defined by a casual grunge vibe that complements the rest of the MTWTFSS line. The collections will be available in stores by March 17th.